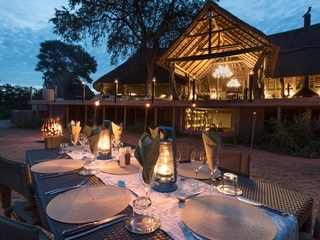 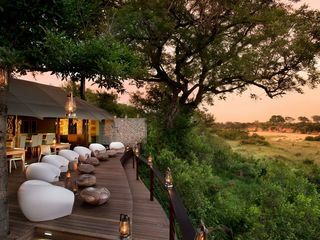 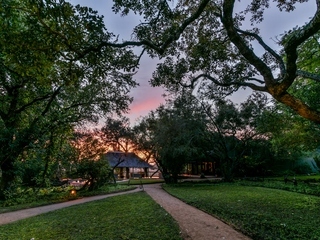 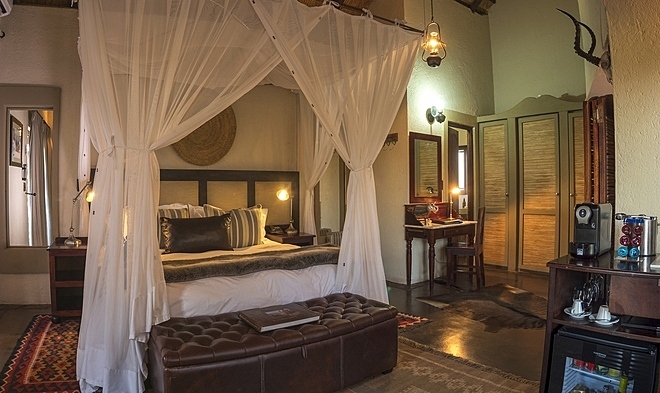 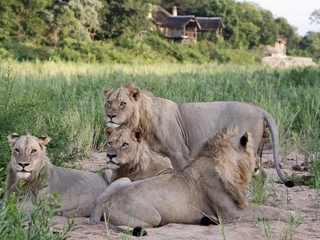 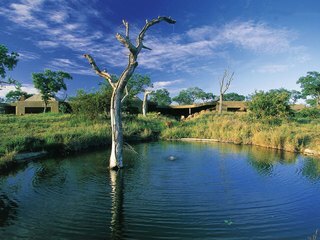 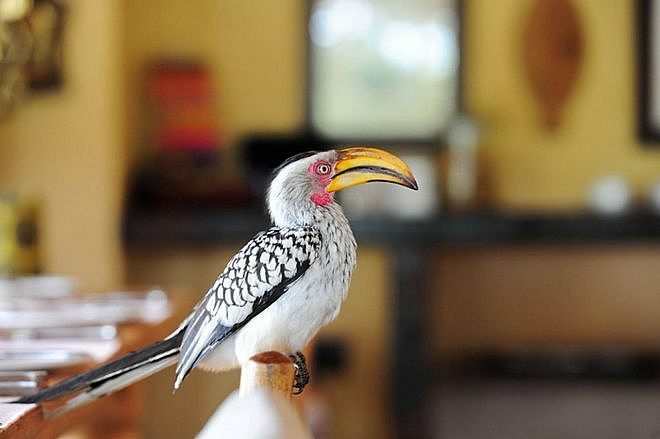 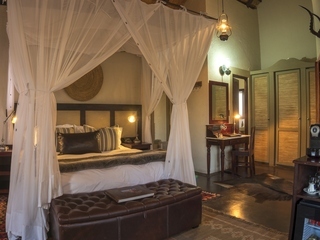 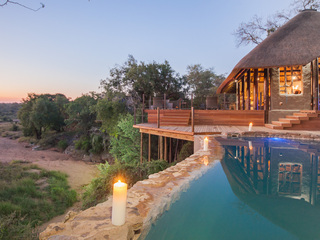 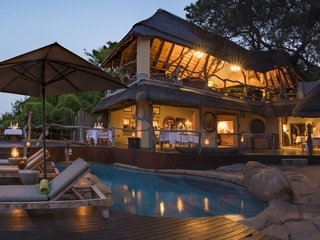 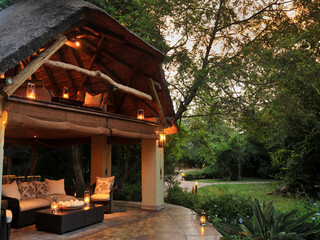 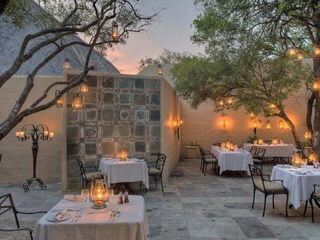 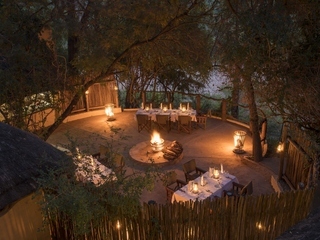 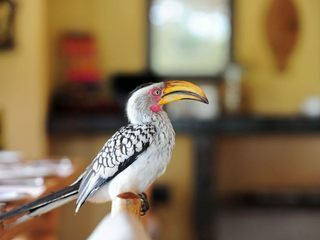 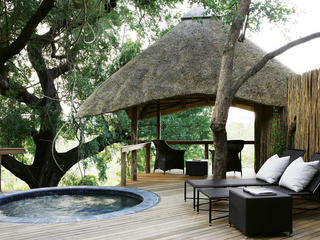 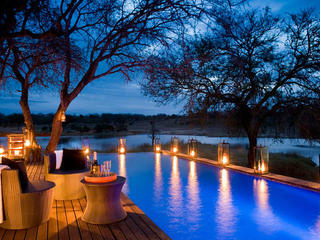 Jock Safari Lodge is a smart establishment in the southern corner of Kruger National Park, north eastern South Africa. 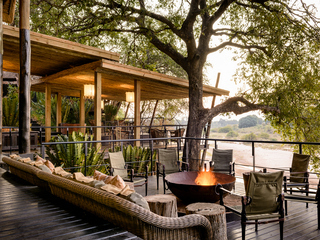 The lodge sits in a tranquil location shaded by trees and overlooking a seasonal riverbed. 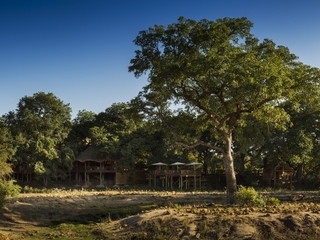 The camp boasts 12 secluded, thatched chalets plus a larger three-bedroom unit, along with a spa, a gym, and two swimming pools. 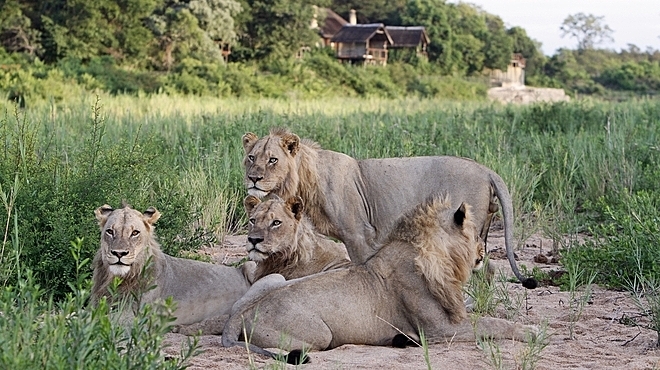 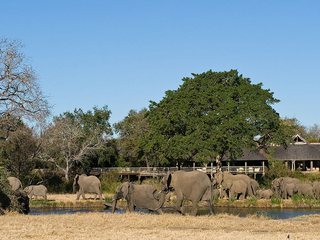 Kruger National Park is renowned for its abundant bird and wildlife, including the famed Big 5 (lion, leopard, rhino, elephant, and Cape buffalo) along with hyena, wild dog, giraffe, hippo, and zebra. 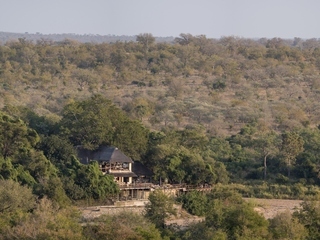 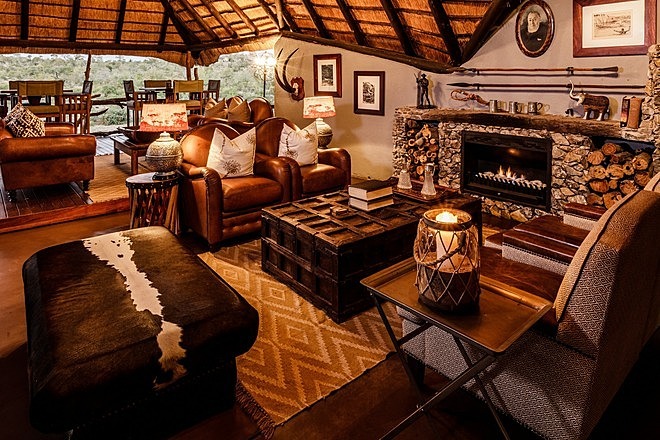 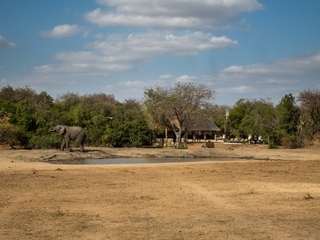 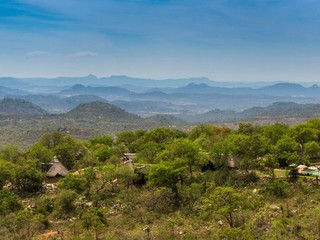 Offering comfortable accommodation and friendly service, Jock Safari Lodge is a good upper mid-range option for exploring this vast unspoilt landscape. 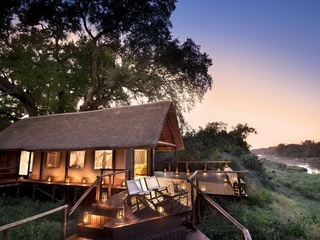 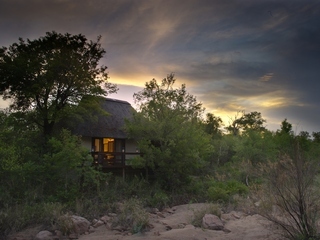 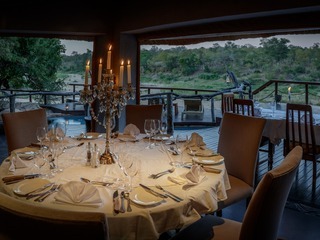 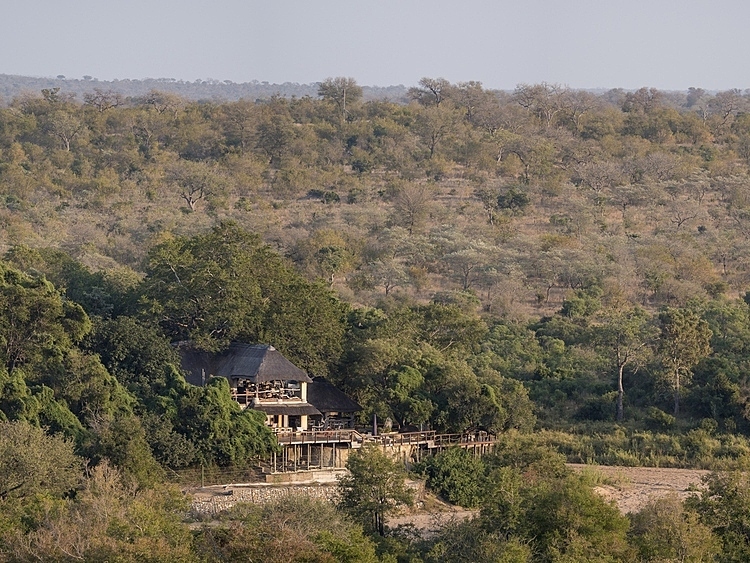 The two-storey main lodge is open-fronted and enjoys lovely views of the riverbed and surrounding bush. 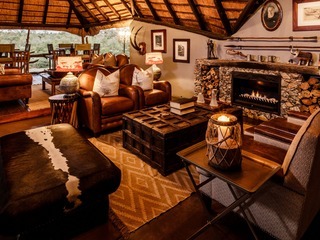 Communal areas include an elegant dining room and a cosy lounge with an open fire for colder evenings. 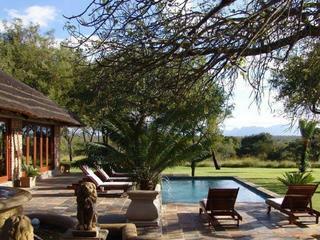 There is a library and TV room, a gift shop, and a spa and gym. 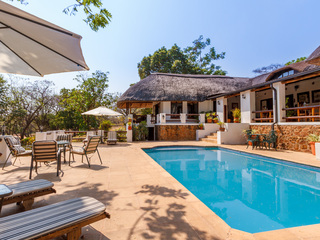 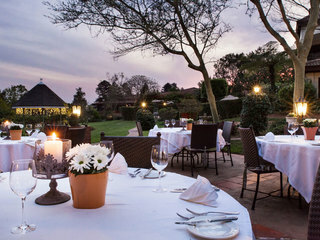 Outside, an extensive decked area houses a refreshing swimming pool and loungers, and a ‘boma’ for sundowners and alfresco dining. 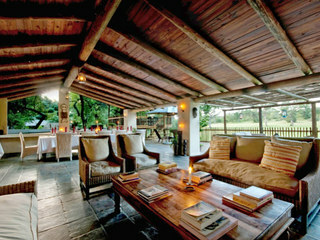 Wi-Fi is available in the main areas. 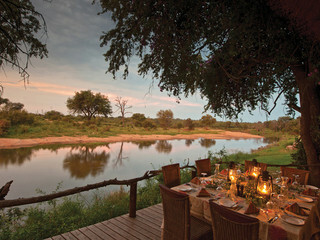 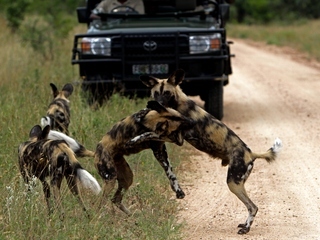 Activities include morning and evening game drives, guided walks, birdwatching and stargazing. 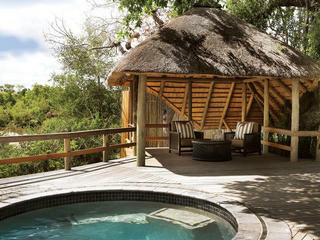 Beauty treatments and massages are available at the onsite spa, which has a sauna, steam room, and hydrotherapy bath. 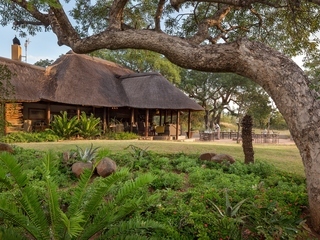 Golfing enthusiasts are offered complementary transport to a course located just outside the national park. 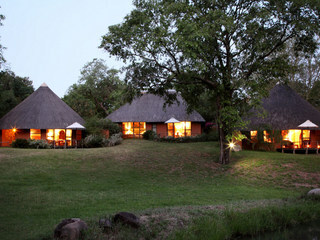 The accommodation comprises 12 thatched chalets, spaced apart between the trees for privacy. 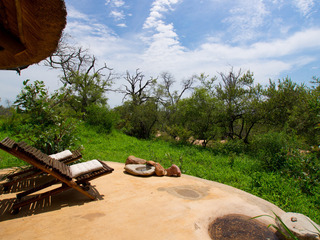 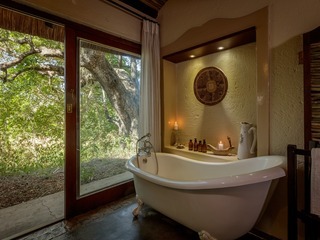 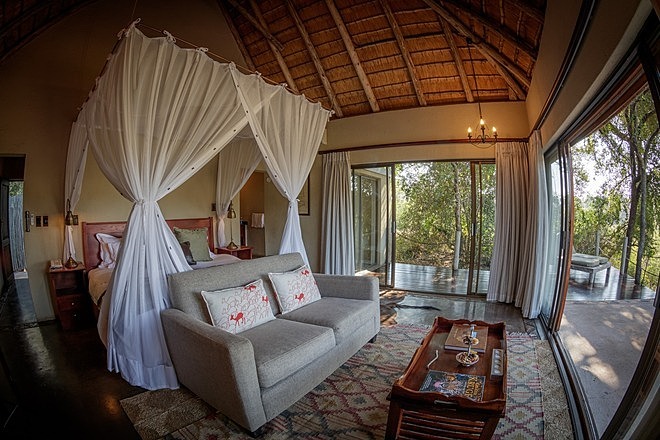 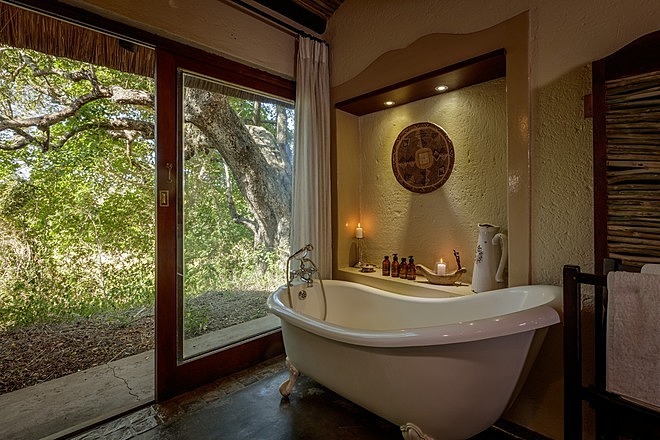 Each suite has a king or twin beds, and an ensuite bathroom with a refreshing outdoor shower. 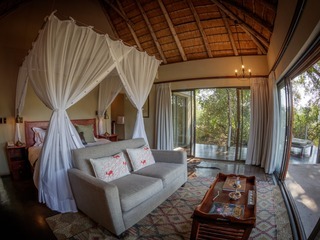 All units have air conditioning and ceiling fans, plus a minibar and hot drink facilities. 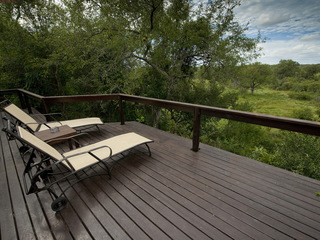 Outside is a private deck with a plunge pool and an alfresco day bed (sala) with tranquil views. 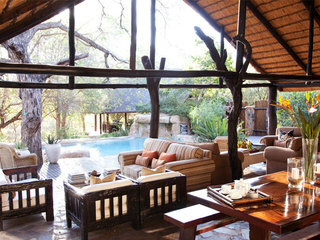 Fitzpatrick is a three-bedroom unit with a swimming pool and similar facilities to the chalets, but no plunge pools. 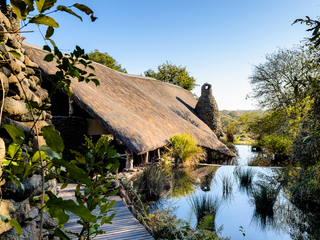 Each of Fitzpatrick’s three rooms can accommodate up to two adults and two children of all ages, whilst chalets are suitable for two adults and one child between six and 12 years. 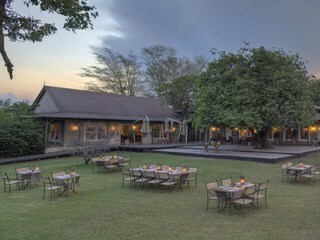 Children are warmly welcome, and each youngster receives an activity pack on arrival. 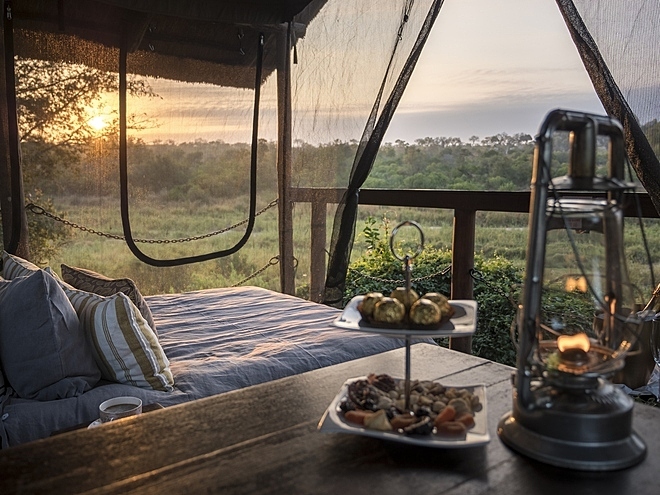 A well-tailored activity programme includes children’s game drives, junior ranger training, night walks in camp, cooking, and arts and crafts. 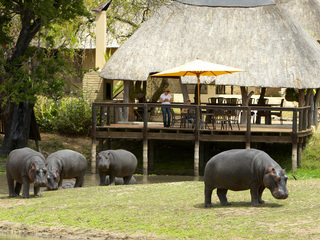 Child minding is available on request, subject to additional cost. 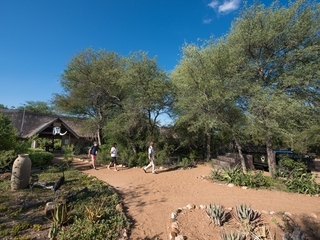 Note that there is a minimum age restriction of six years for game drives, with younger visitors offered alternative drives in a closed vehicle. 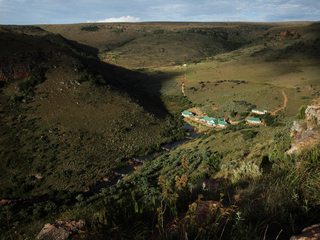 There is also a minimum age restriction of 16 years for guided walks. 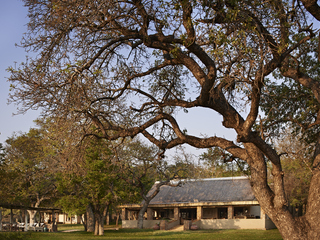 Given the rural nature of the lodge’s location, parents are reminded to keep children under constant adult supervision.